San Francisco has some of the best weather in the world! The temperatures stay pretty comfortable. Sometimes, when it starts to heat up, the fog takes over and cools the city down. San Francisco is known for its diversity and it shows in its food. You can find just about any dish from all over the world and it is a leader in discovering new dishes as well. Going along with the diversity of food, San Francisco is a very diverse city in terms of culture. It is home to people of all background and cultures which greatly influence its art, food, fitness, fashion and museums. The city is known for its great shopping districts. From Union Square with big names to outlets from boutiques to vintage clothes and markets, there is literally something for everyone. 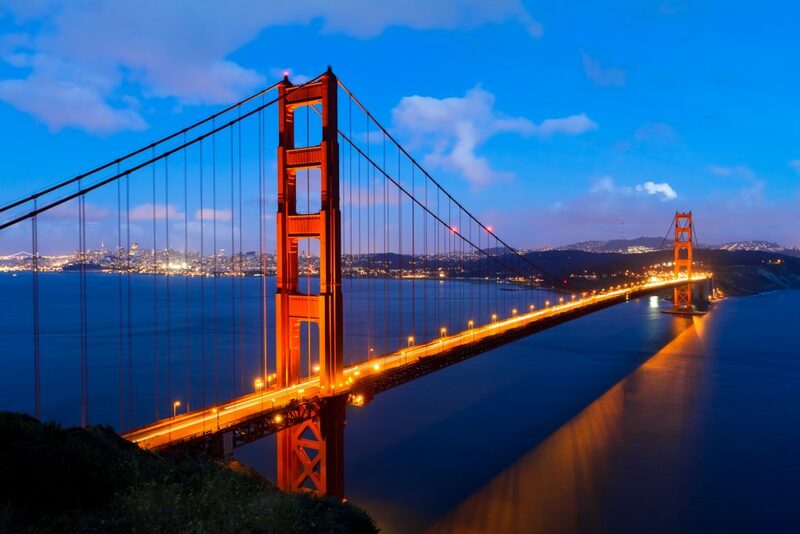 San Francisco is known for its antique cable cars, the Golden Gate bridge, Fisherman’s Wharf and Pier 39, wine country, Alcatraz, Muir Woods’ 1000 year-old redwood forest and so much more!